Our Year 5 children are taught in Birds of the Morning Class. The class teacher is Mr Squire. The class teaching assistant is Mrs Thomas. Mrs Baggaley teaches the class on Fridays. Birds of the Morning are large white birds that fly from the sun and present fire-berries to a retired Star named Ramandu. You can read about Birds of the Morning in the book, 'The Voyage of the Dawn Treader'. "We learn lots of new things." "The teachers and TAs are helpful." "Everybody is nice and fun. The class will continue work on methods of calculation and using and applying this knowledge to real life problems. As well as this, we will be doing work on shape and space, using measures, decimals and fractions. We will continue the focus on improving mental calculations and this happens every day within the maths lessons. The school website has links to maths websites such as Mathletics which can be used to support your child’s learning. Weekly tasks will be set for homework on this site. The Year 5 literacy scheme this term will focus on word, sentence and text level work. Our focus for most of the term will be writing pieces from a wide range of genres that will link with our topic. I am particularly keen to highlight our on-going use of the VCOP principles—Vocabulary, Conjunctions, Openers and Punctuation - to help improve the children’s work and encourage them to develop their personal writing style. This term we will be learning about the settlers and invaders of Britain throughout history. The Anglo-Saxons were a group of farmer-warriors who lived in Britain thousands of years ago. Made up of three tribes who came over from Europe, they were called the Angle, Saxon, and Jute tribes. The two largest were the Angle and Saxon, which is how we’ve come to know them as the Anglo-Saons today. They were fierce people, who fought many battles during their rule of Britain – often fighting each other! Each tribe was ruled by its own strong warrior who settled their people in different parts of the country. When did the Anglo-Saxons invade Britain? The Anglo-Saxons first tried invading in the 4th century, but the Roman army were quick to send them home again! Years later – around 450AD – the Ancient Romans left Britain, the Anglo-Saxons seized their chance and this time they were successful! 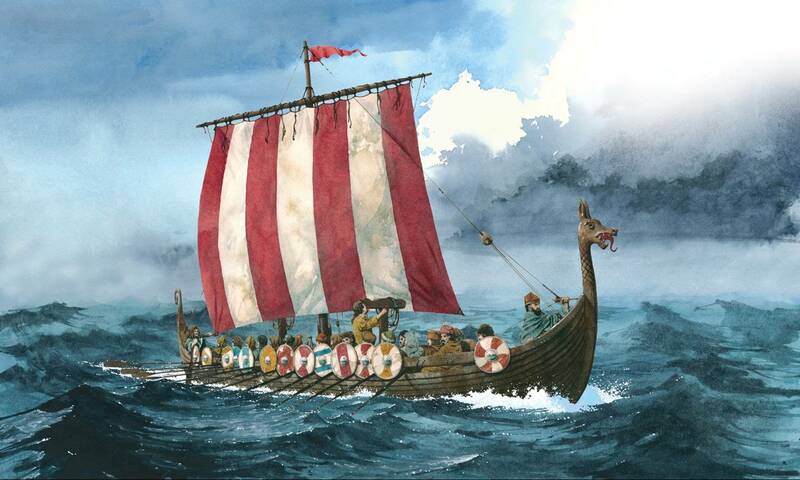 They left their homes in Germany, the Netherlands and Denmark and sailed over to Britain on wooden boats. Many of them were farmers before they came to Britain and it’s thought they were on the look-out for new land as floodwaters back home had made it almost impossible to farm.